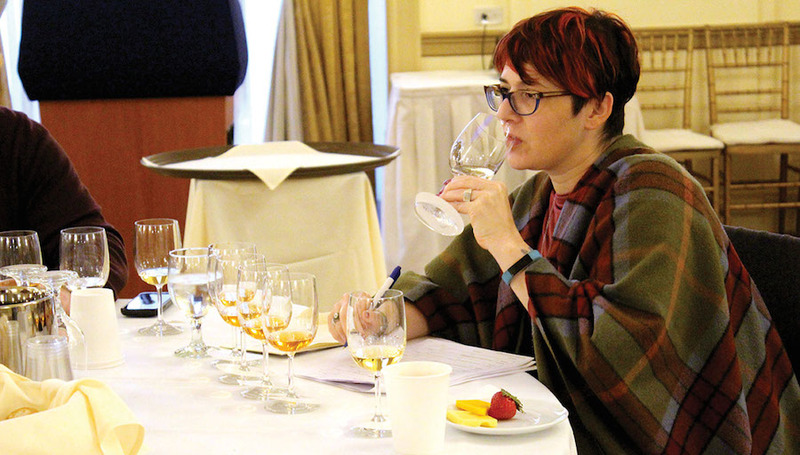 Spirits are graded with unusual parameters in The New York International Spirits Competition (NYISC). Judges still blind-taste entries, and receive info about style, age and geographical origin. But they also get to see the market price of each spirit, and taste entries in sets of price ranges. Judges can therefore decide whether a spirit’s quality matches its retail cost. This is taken strongly into account when awarding medals. For example, a whiskey that earns silver at $75 may have gotten gold at fifteen dollars cheaper. NYISC judges are well suited to critique this cost-to-quality ratio. All tasters are trade professionals: retail buyers, restaurant owners, professional mixologists, hotel beverage directors, distributors, importers, etc. The competition does not bring in full-time writers or bloggers – only those with purchasing power. This also holds true for all other judging events held by its host organization, International Beverage Competitions. The company organizes similar competitions for beer and wine. And beyond these three annual New York events, matching competitions also take place in Berlin, Melbourne and Asia. All 12 events are judged entirely by trade professionals. “Only trade buyers know what the customers actually want, and at what price, because they’re the ones interacting with the consumers,” explains Adam Levy, founder of International Beverage Competitions. Judges grade entries as harshly as they would anything they consider buying in bulk. Levy launched his first event seven years ago, after reading how some major alcohol competitions award medals to more than 84% of entries. His judging is not as generous. “We’re not a medal factory,” explains Levy, who also runs the alcohol news/reviews website, Alcoholprofessor.com. Levy points out that he has no financial motives with the outcomes of his competitions. He runs a tech company full-time and pursues alcohol ventures as a hobby. He owns no shares in alcohol-related businesses. That’s to the point. His goal is an alcohol competition that’s as fair and impartial as possible. Products do not receive medals simply for submitting. 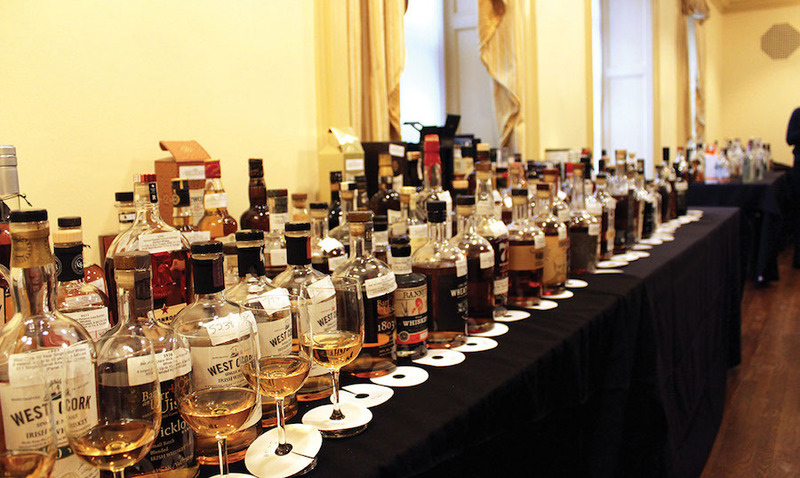 Of the approximately 600 spirits entered into the 2016 New York International Spirits Competition, only nine won double gold, while 71 won gold, 143 won silver and 120 won bronze. Other competitions are not so stingy with accolades. And Levy has strategically kept the entry fee the same since from day one, $300 per spirit, while the judges he pays only $250. “That’s my way of saying that I respect their time, but I don’t own their conscience,” he explains. Judges get to see the market price of each spirit, and taste entries in sets of price ranges. The judges seem to appreciate the price-focused format and the legitimacy of the process. “This is reflective of one of our responsibilities in real life,” says Scott Rosenbaum, Spirits Strategist for T Edwards Wine and participating spirits judge. As trade professionals, Rosenbaum and his peers order products based on this balance between price and quality. Before the event begins, Levy instructs judges that a bronze medal means that they would buy a spirit for their business. A silver is for a bottle worth featuring, while gold goes to extraordinary products. Double gold is only for spirits unanimously adored by all judges. Hence the rarity of this award at IBC events, compared with its often-abundant presence at other competitions. All medals awarded come from joint decisions. After a table of judges has tasted through the flight, they compare notes and grades. Final decisions are from group averages or consensus. This format promotes discussion about each spirit, with fluid decision-making. If a unanimous verdict cannot be reached, judges can send the spirit to another table, where judges there can break the tie. Of course, judges do not know what brands they taste. 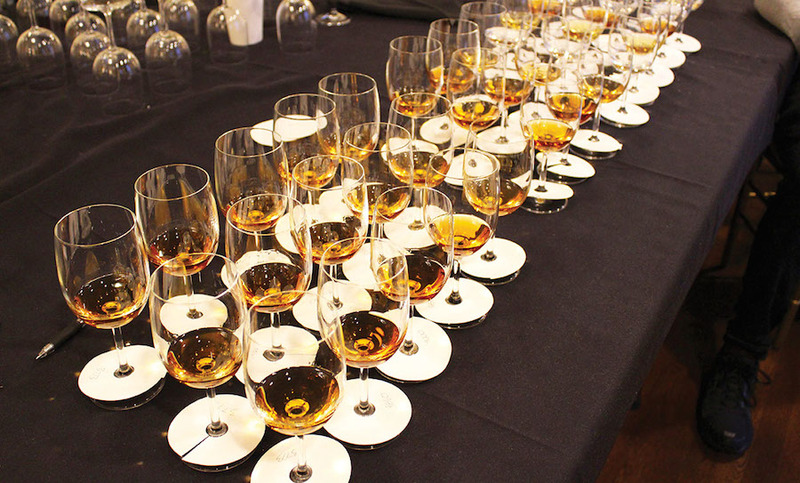 Should a spirit catch their palate, however, judges are all allowed into the product room after results have been tallied, so that they can find out what was in that memorable pour. After all, these competitions are also about education and discovery. All NYICS tasters are trade professionals. The competition is willing to accept and judge all manners of spirits. This generates assessment of products that typically are not heavily reviewed. For instance: flavored whiskey. After all, even connoisseurs who may turn up their nose at flavored whiskeys have to admit that the style has a place and use. Some consumers simply like the style, and flavored whiskeys will always have utility in cocktails. And like all spirits, wine and beer, they have a place for fair, partial and price-oriented grading by trade professionals in the International Beverage Competitions. Kyle Swartz is managing editor of Beverage Dynamics magazine. Reach him at kswartz@epgmediallc.com or on Twitter @kswartzz.